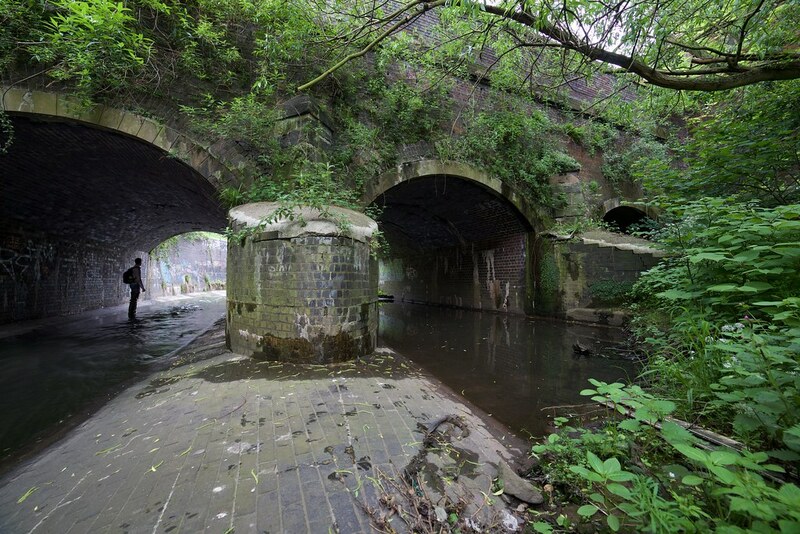 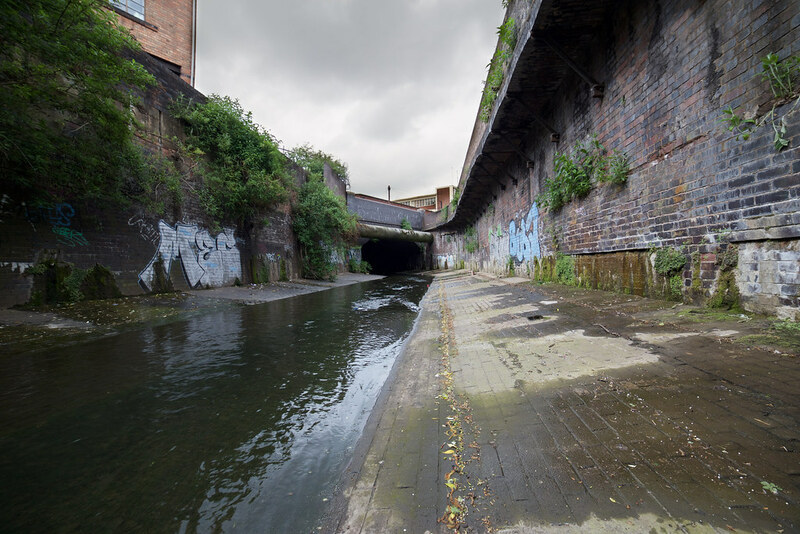 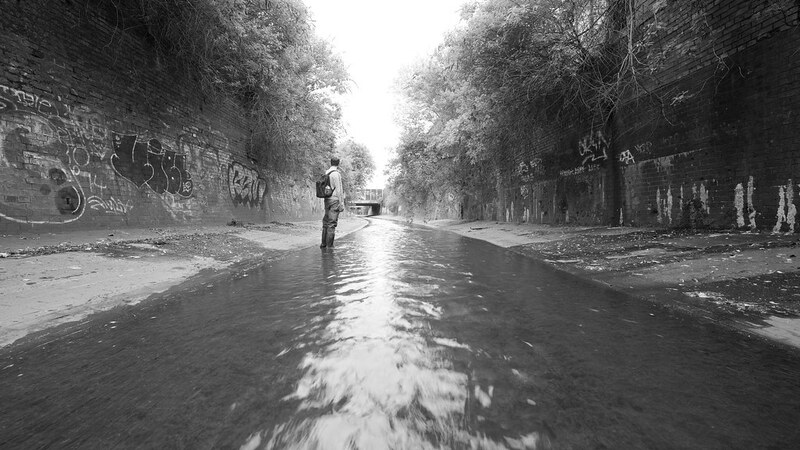 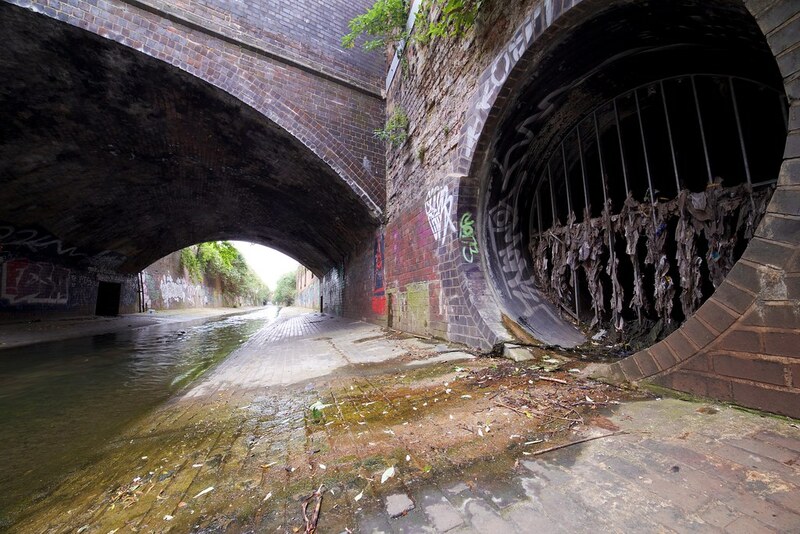 The River Rea travels through Birmingham in a north east direction before joining the River Tame. 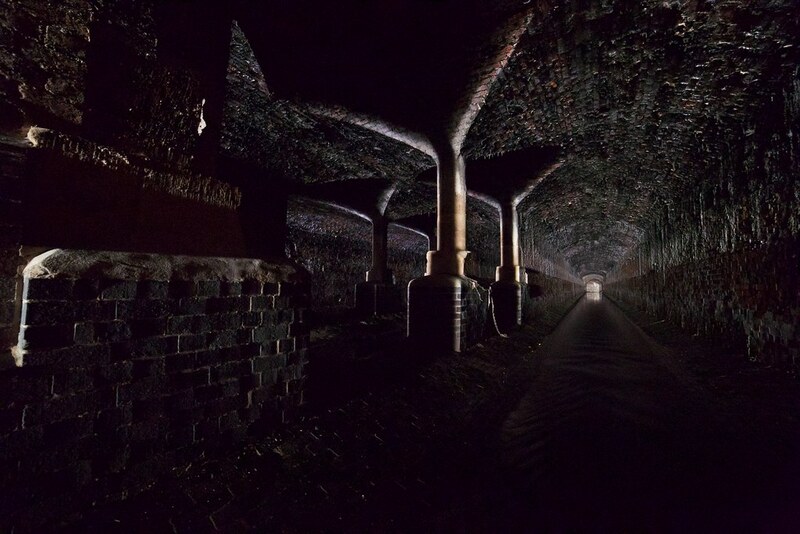 It's mostly above ground in a brick lined cutting, the culverts it passes through generally little more than large bridges. 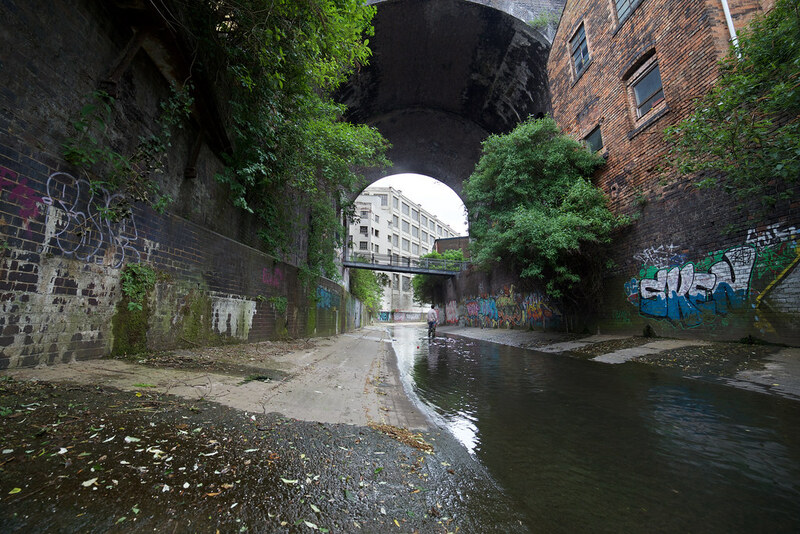 I went for a walk along a stretch of the river with TheVicar. 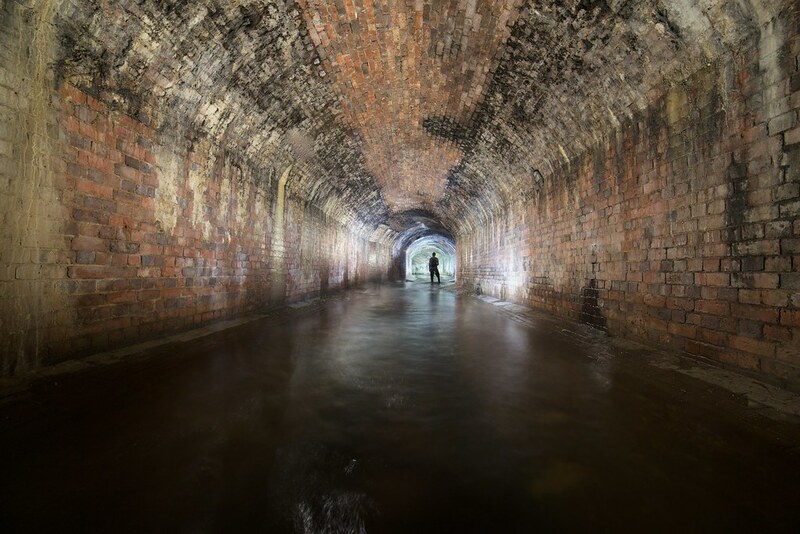 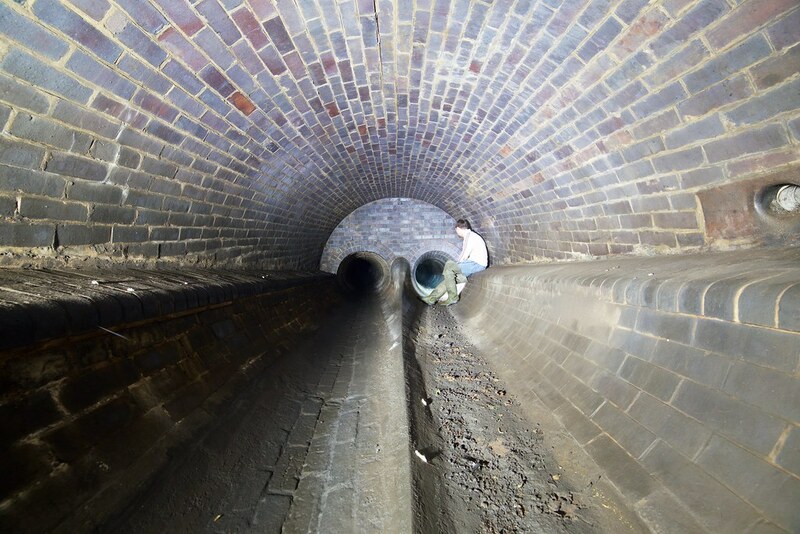 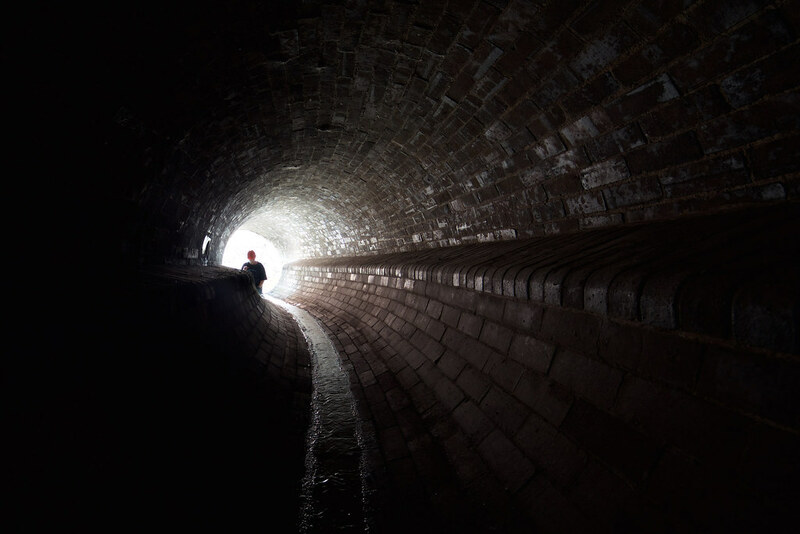 The longest is a triple brick box culvert around 370m which hosts some lovely curving brickwork and an open section in the middle propped up on stone pillars. 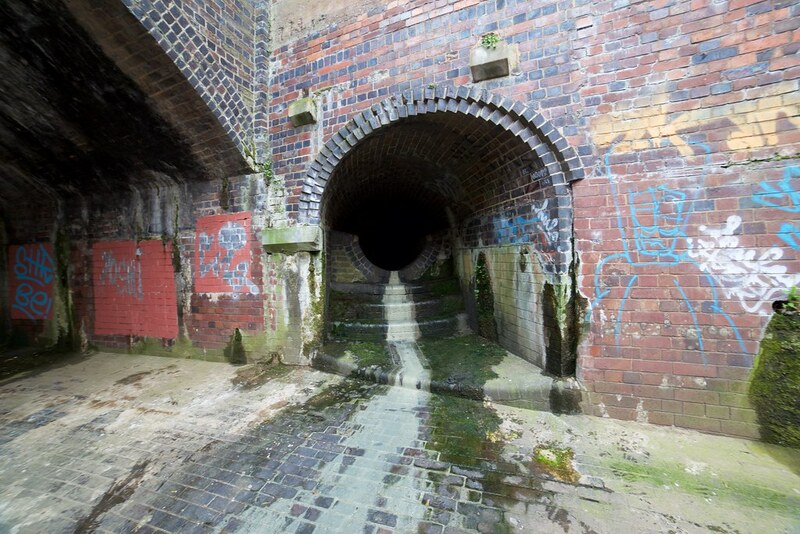 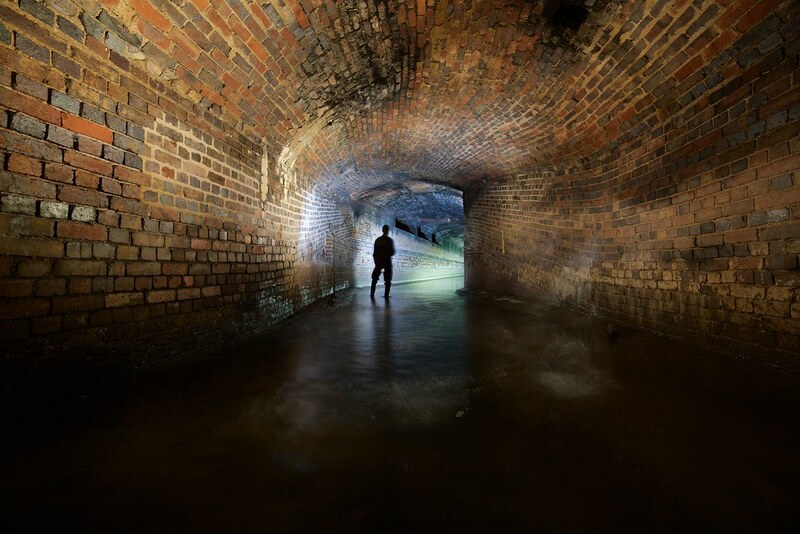 Along the length of the river were a number of side pipes and outfalls, many of which hidden behind large wooden flaps. 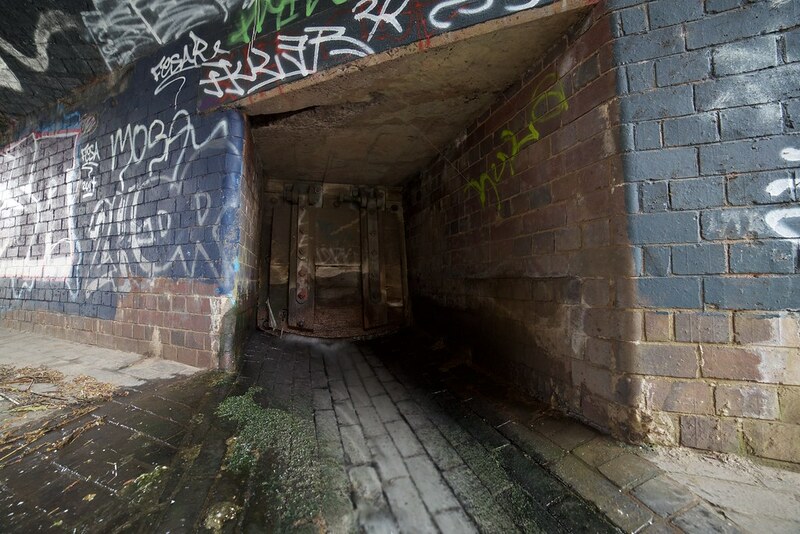 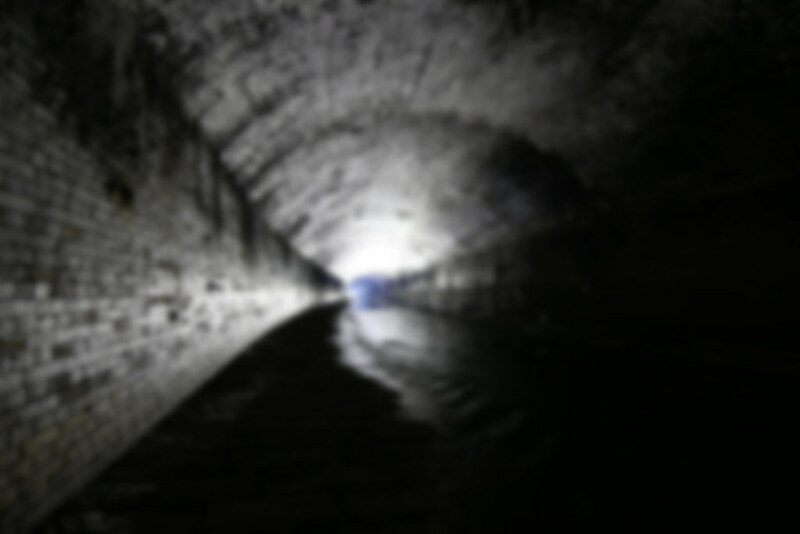 Some were obviously sewer overflows judging by the scummy trails and in some cases constant flow coming from them. 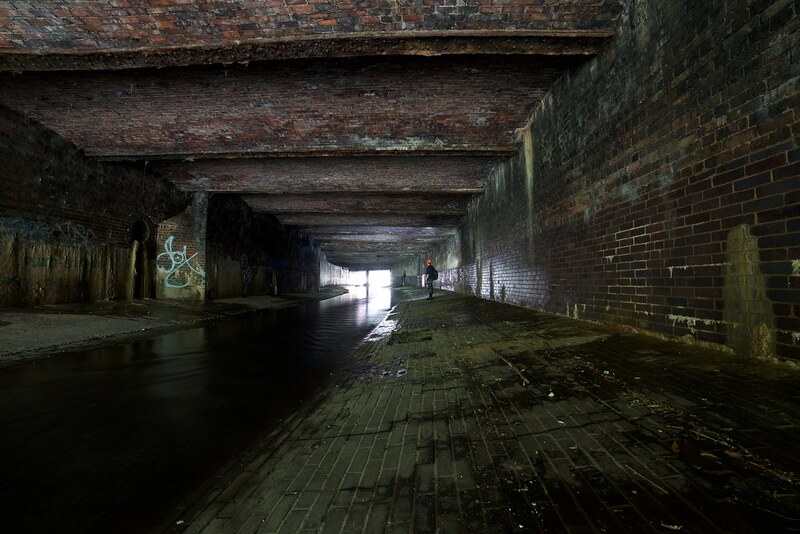 Frequent access to the surface was provided at bridges by ladders upto little red doors to the roadside.